Hi there! 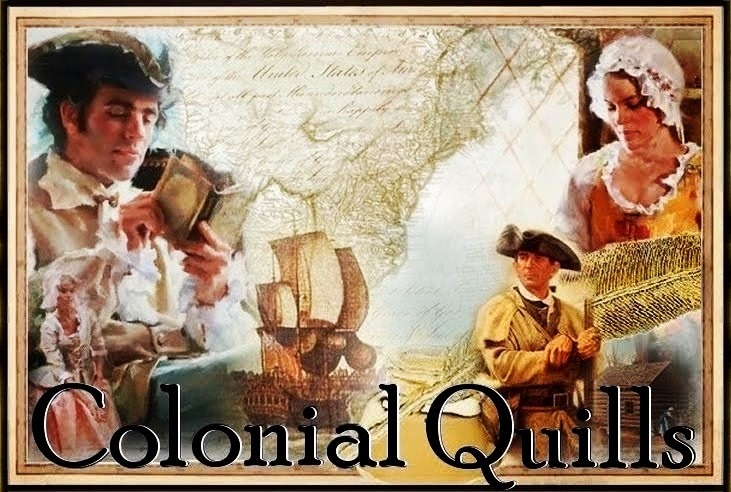 I’m Naomi Musch, a new member of the Colonial Quills blog team. I can’t tell you how thrilled I am to be here. I write in a variety of time periods, but the American colonial period is where my heart beats strongest, especially when that story is set on the frontier. 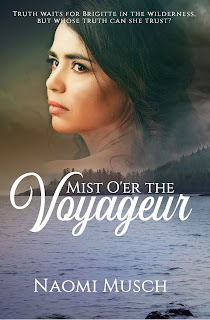 In light of that, I have a new book coming out next month titled Mist O’er the Voyageur. In it, the heroine, Brigitte Marchal, is a Métis girl from Montreal who sets out traveling west by voyageurs brigade into the Lake Superior wilderness where dangers, mysteries, and romance await. With her in mind, I’d like to introduce you to the Métis. The Métis are an aboriginal people group who emerged during the North American fur trade that took off in the 1700s when French and, sometimes, Scottish freemen (those without a company contract, also referred to as coureur des bois) began to travel into the unsettled interior of the continent via the Great Lakes waterways in search of better furs. Many of these men, who learned the practices and habits of the Native people, soon established families with First Nations tribes around the lakes. As they began to intermarry, they grew into a distinct people with their own established culture, history, territory, and language known as Michif. From their beginnings, it wasn’t long until the Métis no longer saw themselves as extensions of either their maternal (First Nations) or paternal (French/Scottish) ancestry, but rather as a separate, distinguished nation. The Métis were some of the first settlers of Winnipeg, Canada, though they were eventually forced from their lands during the War of 1812 and for many years strove with Canada for their home lands and rights. The Métis have spread throughout the upper Midwest and Northwest since, making their settlements along the waterways around the Great Lakes, Ontario, and in other areas known as the historic Northwest including parts of the northern United States. 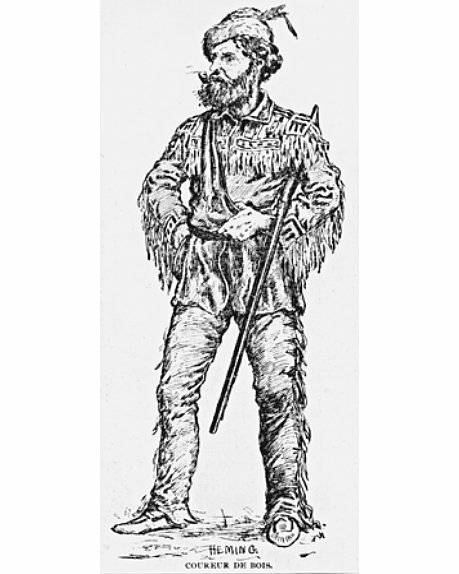 Historically, many of the Métis remained involved in the fur trade as trappers, traders, and were often employed as voyageurs on the Great Lakes. There have been many notable people among the Métis, from activists and politicians, to frontiersmen, authors, film-makers, and poets -- even body-builders and hockey players! 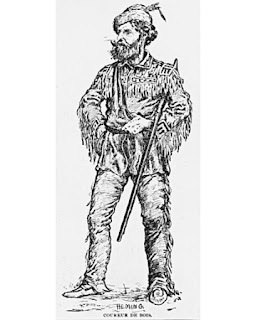 The Métis were responsible for breaking the fur trade monopoly held by the Hudson’s Bay Company, who had been behind a lot of their early troubles. 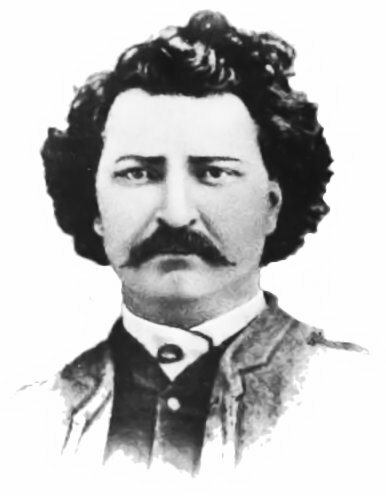 One Métis man, Louis Riel, became known as the father of Manitoba. In Mist O’er the Voyageur, my heroine Brigitte Marchal is born of this unique Métis heritage. She was born to an Ojibwe mother and a French fur-trader father. After the age of six, when her mother passed away, she was taken to Montreal to be raised by her French aunt and uncle and educated by the Sisters of Notre Dame. During her adventure paddling with the voyageurs into the western regions of Lake Superior to find her father, Brigitte has ample opportunity to meet other Métis people and learn more about her heritage and traditions along the way – as well as discovering some long-kept secrets. Join me again next month, when I share some interesting bits about the Great Lakes Voyageurs and what it was like when they all gathered for the annual fur trade Rendezous. 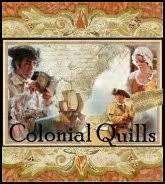 Hi, Naomi, so glad you are blogging with Colonial Quills, and congratulations on your new book. It sounds wonderful! Thank you, Denise! I'm delighted to be here. I've loved reading CQ for a long time. Congratulations on your book. Sounds interesting! Thank you, Connie! I hope to share more about it in the weeks ahead. Blessings! Welcome aboard, Naomi, and congratulations on your new release. Thank you, Janet! I'm so happy to be here. It's a delight to get to know everyone. Welcome to Colonial Quills. Looking forward to what you share. Congratulations in your new book! It sounds very interesting! Thank you, Joy! It's fun getting acquainted! Thank you, Kay! I hope you do. Blessings to you, too! Congratulations 🎈 on joining Colonial Quills. Congratulations, I hope to get to read your book. I first became aware of the Metis several year ago after a patron requested information at our library. Welcome to CQ!